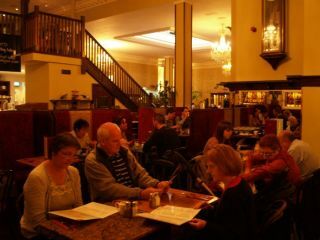 5a. 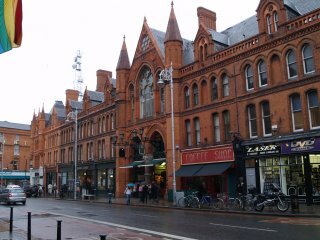 Three St A's of different age and uses! 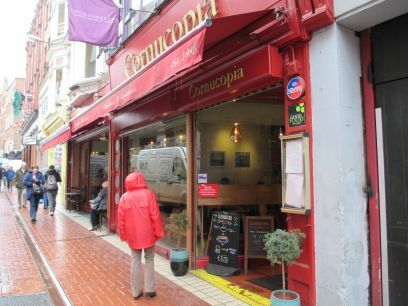 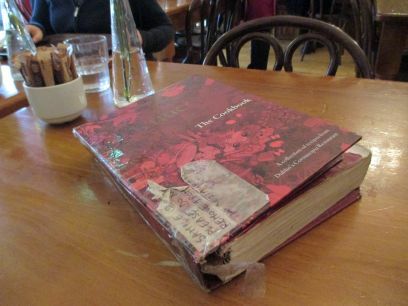 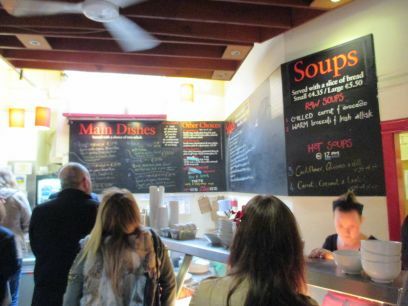 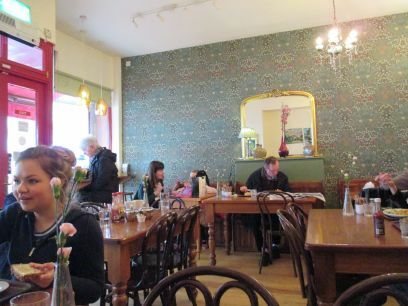 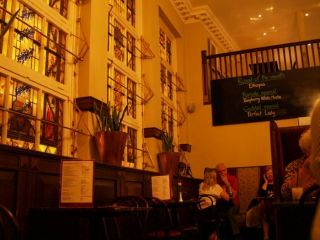 The Cornucopia Wholefood & Vegetarian Restaurant in Wicklow Street, Dublin, is a great cafe to eat in. 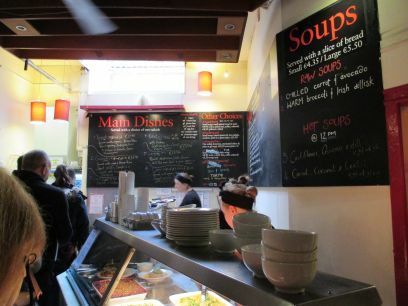 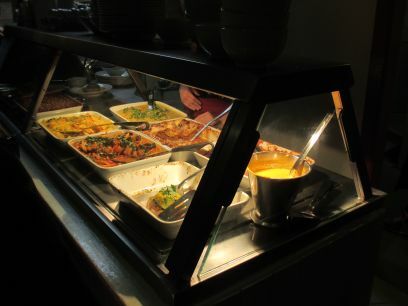 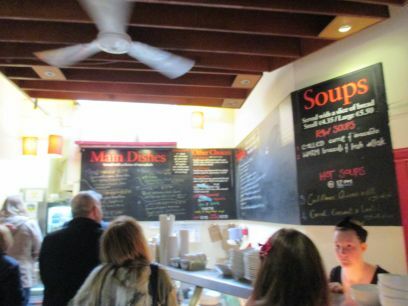 Very good food at a reasonable price. 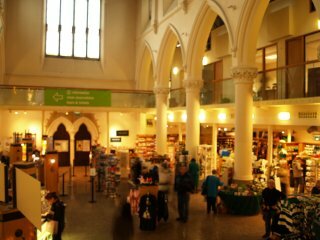 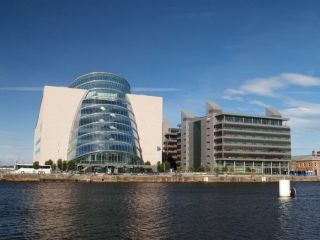 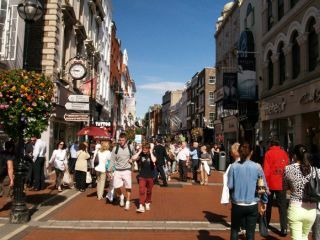 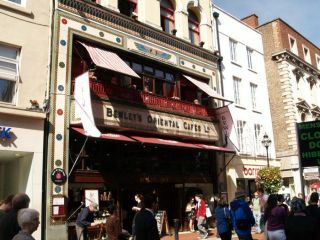 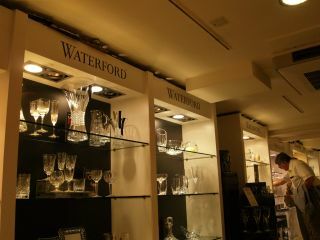 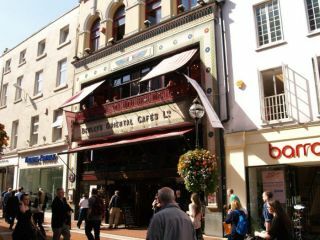 In Dublin City, Ireland, the Kilkenny Design Centre store and restaurant provides good food at as well as all those stylish clothes, glassware and gifts galore of Irish origin and tradition. 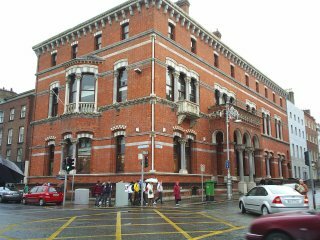 Just down the street is the splendid brick and stone French Embassy? 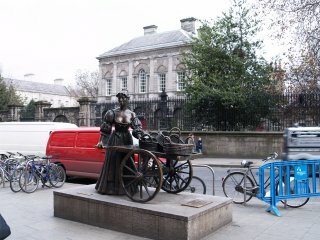 and at the ends of Nassau Street and Grafton Street is sculpture of Molly Malone. 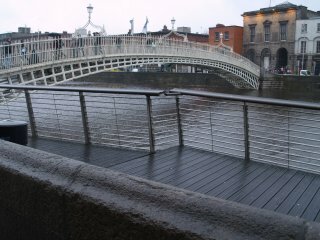 From the north bank to the south bank the Ha'penny Bridge over the River Liffey leads into the Temple Bar area of Dublin. 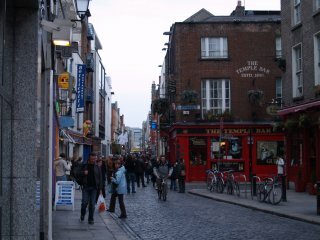 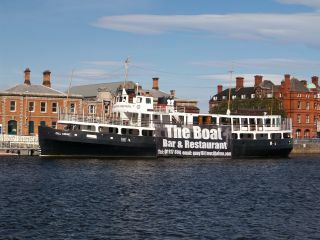 The Temple Bar and The Quays Bar 'pub-bars' are just two of the numerous 'watering holes' available in this area of Dublin. 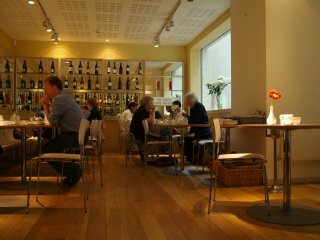 There is a very smart cafe in the Dublin City Gallery, The Hugh Lane Gallery of modern art. 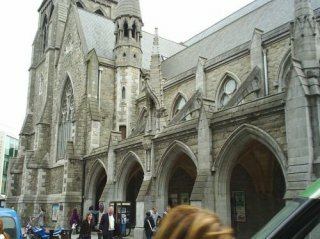 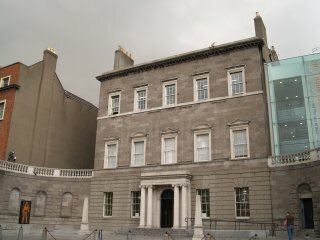 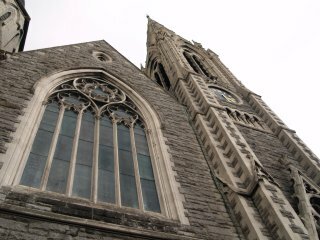 It is to the left of the Writers Museum and Presbyterian Abbey Church on the corner of Parnell Square North and Parnell Square East. 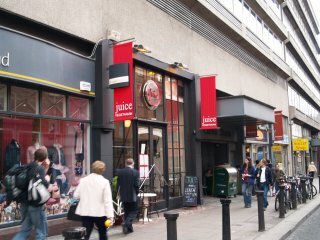 The Juice is a good vegetarian cafe on South Great Georges Street, Dublin. 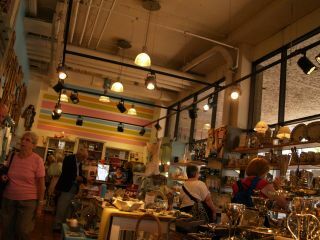 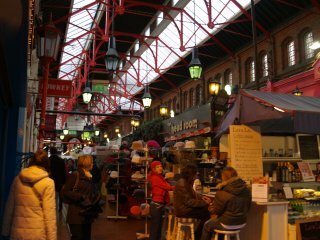 It is just down the road from the fine brick building of the South City Market built in 1894. 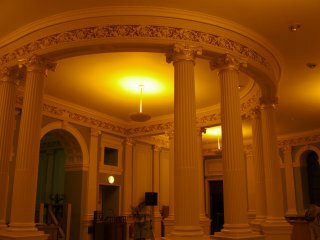 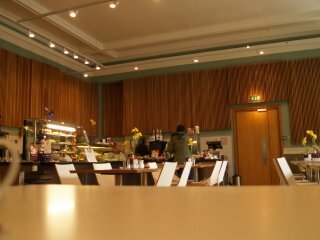 There is a nice cafe with delicious cakes in the National Library in Dublin which has a delightfully restored foyer. 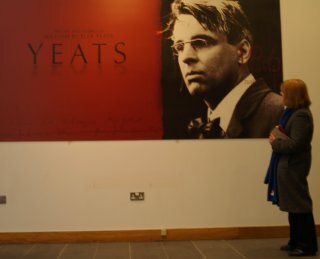 There is an excellent exhibition of the life and works of William Butler Yeats ('WB' or 'WBY'). 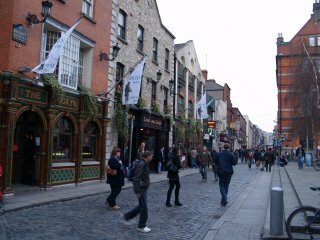 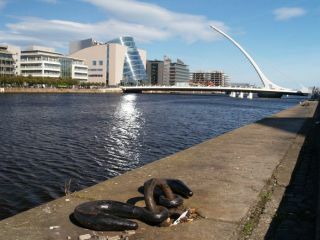 IMMA, Dublin. 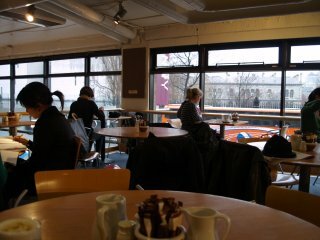 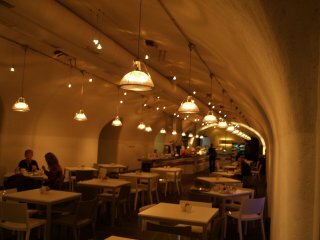 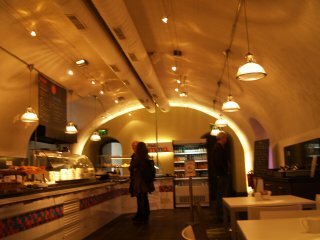 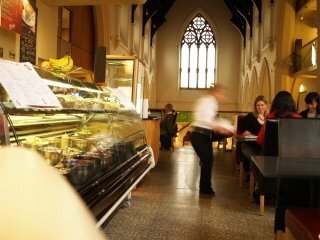 The Irish Museum of Modern Art has an interesting cafe architecturally!